Claiming a Unique Place: The Introduction of Mothers’ Pensions in B.C. Midge Ayukawa is a Ph.D. student at the University of Victoria, where she is working on a dissertation about Japanese pioneer immigrants to Canada from Hiroshima Prefecture, Japan. 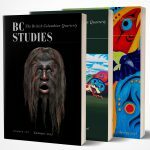 Helen Brown teaches history at Malaspina University College and is completing her doctorate on the way in which the City of Nanaimo was constructed and divided by public schooling at the turn of the century. Robert A. Campbell teaches history at Capilano College and is a Ph.D. student at Simon Fraser University. Gillian Creese is a member of the Department of Anthropology and Sociology, and Chair of the Women’s Studies Programme at the University of British Columbia. Marlene Epp is a is a doctoral candidate in Canadian history at the University of Toronto, where her research focuses on the intersection of gender and ethnicity. Jo-Anne Fiske is an anthropologist who teaches women’s studies at the University of Northern British Columbia and had published several articles on First Nations women in British Columbia. Alexander Freund is from Hamburg, Germany and received his M.A. in history at Simon Fraser University in 1994. He is currently working as a private researcher on the history of the Fraser Valley Credit Union. Annalee Golz teaches women’s studies and history at the University of Victria, and is completing her dissertation on marital breakdown and domestic violence in nineteenth- and early twentieth-century Ontario. Margaret Hillyard Little is a Professor in the Political Studies department at the University of Manitoba and has published on the subject of women and the welfare state. Lynne Marks teaches history at the University of Victoria and has published in the areas of gender, religion, and education. Adele Perry is a graduate student at York University, where she is working on a dissertation about the construction of white women as colonisers in British Columbia from 1858 to 1871. Barbara Powell teaches English at the University of Regina. Her primary research interest is nineteenth-century Canadian women’s diaries. Veronica Strong-Boag is Director of the Centre for Research in Women’s Studies and Gender Relations, and Professor of Educational Studies at the University of British Columbia.